Last US troops withdraw from Iraq Jump to media player The last US troops have withdrawn from Iraq, bringing Operation New Dawn to a close. 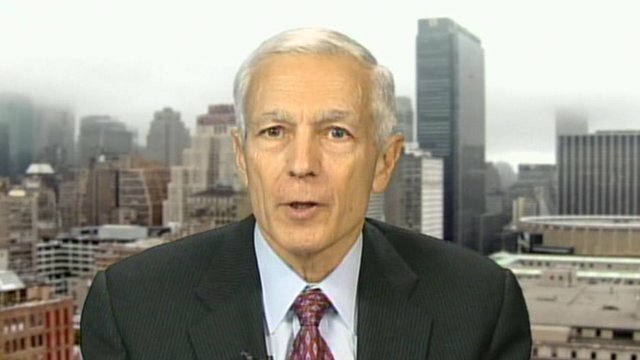 'Iraq could be incredibly bountiful' Jump to media player General Wesley Clark, the former NATO Supreme Allied Commander in Europe, discussed what the future may now hold for Iraq with the BBC's Katty Kay. 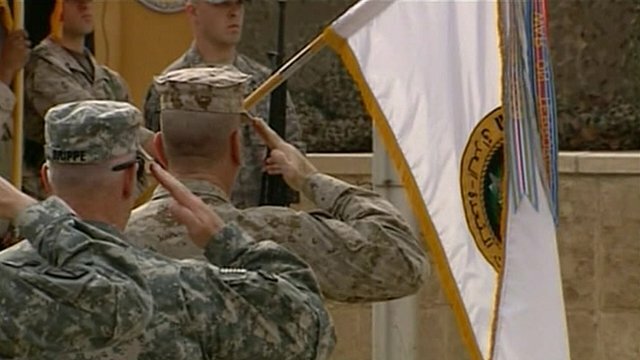 US flag ceremony ends war in Iraq Jump to media player The flag of American forces in Iraq has been lowered in Baghdad, bringing nearly nine years of US military operations in Iraq to a formal end. 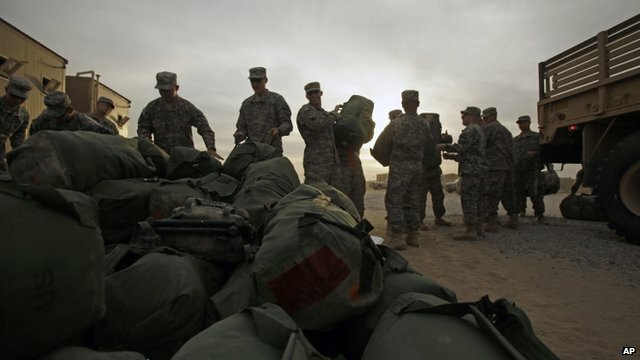 The final contingent US troops have withdrawn from Iraq, bringing Operation New Dawn to a close. 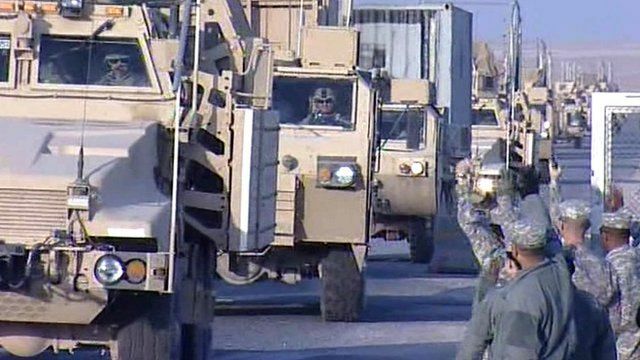 Vehicles carrying the last troops crossed the border into Kuwait on Sunday morning. At the peak, there were 170,000 US troops in Iraq and more than 500 bases. 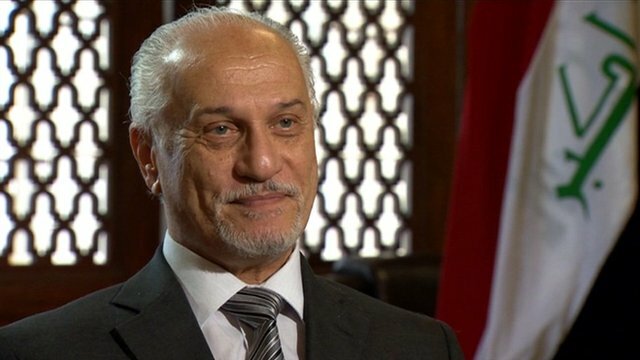 The Iraqi police and army will now be responsible for security in their country. The BBC's Wendy Urquhart reports.